Something changed forever after in Turkey on March 14, 2003, the day Recep Tayyip Erdoğan came to office in Ankara. Tall and charming, young, conservative, eloquent and charismatic, the new Prime Minister was a breath of fresh air for the Turkish public. 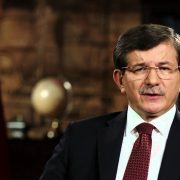 Only 49 at the start of his tenure, the former Mayor of Istanbul and leader of the Adalet ve Kalkınma Partisi (Justice and Development Party, AKP) was faced with an immediate challenge, being the US war on Iraq, which started the same month as his assumption of power. Prime Minister Erdoğan was born in Kasımpaşa, Istanbul in 1954. He studied at Istanbul Imam Hatip High School and the Faculty of Economics at Marmara University, playing semi-professional football during his youth at a local club for 16-years. During late 1970s, Erdoğan worked for Istanbul’s municipal transport company, the IETT. 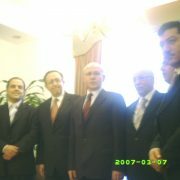 He became active in politics with the National Salvation Party (Milli Selâmet Partisi). 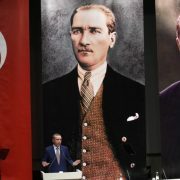 Turkey witnessed political tensions during the late 1970s, which were particularly marked by right-wing and left-wing armed conflicts that led to the 1980 Turkish coup d’état. 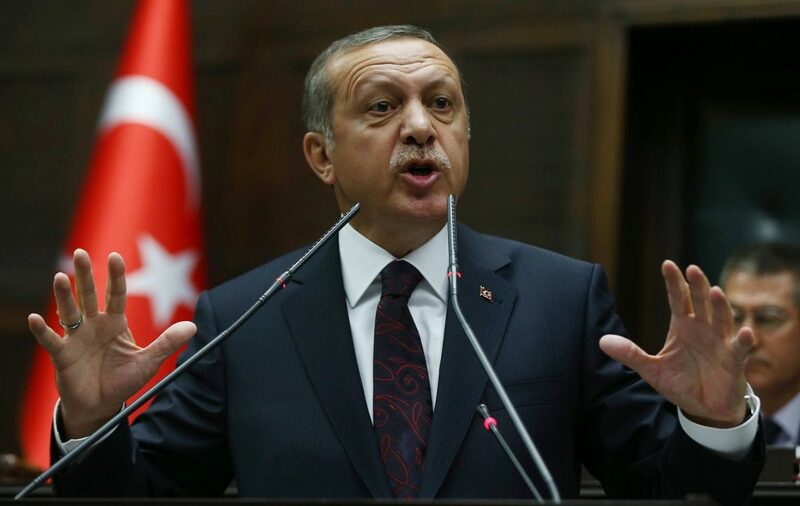 After the coup d’état, Erdoğan left the IETT and worked in the private sector. He served in the Turkish Army in 1982 and re-entered politics through the Refah Party. By 1985, Erdoğan had become party chairman of the Istanbul Province and in 1991, was voted into the Turkish Parliament. By 1994, he became Mayor of Greater Istanbul and President of the Greater Istanbul Metropolitan Council. As Mayor of Istanbul, he made a name for himself as a populistic, effective administrator, building the city’s infrastructure and transportation grid, putting great efforts into beautifying the city. In 2001, Erdoğan co-founded the AKP Party, which emerged with a historical victory in the 2002 elections, taking 34.3% of the votes. Thanks to Erdoğan it won an overall majority in the Grand National Assembly. His greatest legacy is a booming economy. Average growth rate became 7.3% and per capita income almost doubled, thanks to his reform process. 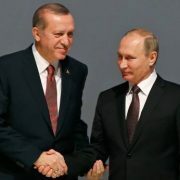 Prime Minister Erdoğan spoke to Syria’s Forward Magazine about Turkey’s relations both with Syria and the United States. He outlined his nation’s policy on the PKK, the war on terror, and Turkey’s membership application for joining the EU. The common threat of chaos in Iraq has brought you into an automatic alliance of interests with both Syria and Iran. Please describe your relations with Syria and Iran? Turkey enjoys good relations with the regional countries including Syria and Iran. This is a natural consequence of Turkey’s multi-dimensional foreign policy in the region which can be described as constructive engagement. The situation in Iraq is a source of serious concern not only for Turkey, but Syria, Iran and the rest of the region as well. With this understanding, Turkey spearheaded a ‘neighboring countries process’ that evolved into a useful international instrument to bring stability and security to Iraq. Syria is an important neighbor of Turkey. We share our longest border with Syria. There are a centuries-long common history and cultural affinity between us. We enjoy overlapping interests for the maintenance of peace and stability in the region. We view Syria as a country that offers a lot for peace and stability in our region. To our satisfaction, our relations with Syria are following a developing trend. Intensified high level visits have been instrumental in achieving this outcome. H.E Bashar al-Assad’s recent visit to Turkey has been remarkable in showing the strong desire that both Turkey and Syria have to further their relations to the benefit of the Turkish and Syrian people and the region as well. By virtue of geography, Turkey is bound to live side by side with Iran. Despite occasional ups-and-downs, a stable climate has prevailed between Turkey and Iran for nearly four centuries. Today, relations between Turkey and Iran are based on the fundamental principles of non-interference in internal affairs, good-neighborliness and security cooperation. Especially, our commercial and economic relations have gathered pace. At a time when the Middle East is passing through a turbulent period, consultation between our countries have become all the more important. In this respect Syria’s positive contributions are important for the solution of regional problems. In view of its strong determination to eradicate terrorism, Turkey is willing and ready to cooperate with any actor in the fight against PKK. Turkey has been very vocal in its criticism of PKK activity in northern Iraq against Turkish territory. Your administration has threatened, on several occasions, to use military force to put an end to the PKK. What would happen if these terrorist acts continue? Our concerns regarding the presence and activities of the PKK/KONGRA-GEL terrorist organization in northern Iraq has been conveyed on every occasion to the Iraqi government and the Multi National Force that is responsible for security in Iraq, as well as the US authorities in this context. The terrorist organization acquires weaponry and explosives, raises finance through illegal activities, and perpetrates terrorist attacks against civilians and Turkish Security Forces by infiltrating through our borders. The presence of the PKK in northern Iraq threatens not only Turkey but also territorial integrity of Iraq and thus, the stability and security of the region. Turkey wishes to enhance its good neighborly and friendly relations with Iraq. Turkey also supports the territorial integrity of Iraq and would like to see the difficulties that the Iraqi people face be overcome. In this context, Turkey will convene the Expanded Meeting of the Foreign Ministers of the Neighboring Countries of Iraq in Istanbul on 2-3 November. However the terrorist threat against Turkey stemming from Iraqi territory constitutes an obstacle in furthering our relations. Moreover, Iraq has the obligation to prevent these terrorist attacks under the relevant UN Security Council resolutions. Our Government shows every political and diplomatic effort in combating terrorism. In this regard we have carried out bilateral and trilateral meetings with the Iraqi and US authorities since 2003. Recently the Agreement on Combating terrorism between our Government and the Iraqi Government was signed on 28 September 2007, in Ankara. The patience of the Turkish people has come to its limits due to the losses we suffer as a result of the PKK terrorist attacks. Fighting the PKK terrorist organization which caused the death of 35.000 people in the past 23 years is a priority of our government. In light of our past experience in combating terrorism, we take all possible measures like any other State who has the responsibility of protecting its citizens. Our government has the strength of taking all measures as such, including a cross border operation. Although the US labels PKK as a ‘terrorist organization’ it has done nothing to halt their activities. Why is that? The USA has been our ally and a strategic partner for 50 years. We have extensive cooperation with the USA in the field of counter terrorism and security cooperation. In this framework, our global cooperation in the field of combating terrorism continues. These relations, which are based on common values and shared ideals for more than half century, have strategic importance for the preservation of peace, stability and security in this part of the world. Our relations with the United States, coupled with our quest to join the EU, are part and parcel of our Western orientation since the foundation of our Republic in 1923. In the course of history, there have been occasional ups and downs in this relationship, but as I have pointed out earlier, thanks to our commitment to those common values such as democracy, human rights, rule of law, free market economy, and our mutual faith in this relationship, we were able to prevail numerous challenges in the past, and rejuvenate it. With the same understanding, determination and will, I believe the two countries will also be able to thwart the threat directed to relations from the draft resolution before the U.S. Congress and the PKK terrorism originating from northern Iraq. The USA, acknowledges the seriousness of the terrorist threat of PKK/KONGRA-GEL targeting our country and the right of our country to defend itself against this threat. Efforts are being made to enhance our cooperation with the USA on the basis of securing stability in our region and long term gains in countering terrorism as well as providing for ending PKK terrorism against our country. On the other hand, due to the conditions in Iraq, it is not possible to conclude that Iraq successfully fights against the PKK terrorism stemming form North of Iraq. What is the ‘roadmap’ for Iraq for the immediate future? How can this war-torn country move forward? We are entering a crucial phase in the already critical stage in Iraq. Apparently, Iraq will remain in the forefront of the international agenda. Currently, there appears to be some encouraging gains in the security field in Iraq. We must help the Iraqi government to build the new political institutions on these gains with an intent to achieve a nationwide reconciliation and an atmosphere of security, where all Iraqis can freely enjoy their indispensable rights. It is the time to set things right and make sure everyone focuses on how to get Iraq back on its feet. Political reconciliation at a national level should be what efforts of the international community focus on. In this context, UNSC Resolution 1770 signifies the role of the UN as the main instrument for this purpose. We have always voiced our support for the UN to play a central role in political reconciliation in Iraq. It is with this understanding that we have given full support to UNSC Resolution 1770. What about Turkey’s application to join the EU? Do the Prime Minister and President Gül still have hope, especially after the victory of French President Nicolas Srakozy? Is such a dream still reasonable? And what can Turkey do to either win France’s blessing, or avoid its veto? To recognize that the process of Turkey’s accession to the European Union is on the right track, one must appreciate the philosophy of the Union. After all, the EU is a set of ideals and values, rather than a simple congregation of personalities where their political priorities can reign over established rules. We have embarked on the road to full membership with our EU partners with the common objective of full membership. 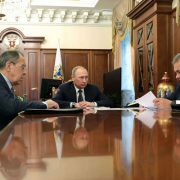 This aim has been confirmed at the highest level on 3 October 2005 with the unanimous decision of EU Foreign Ministers within a shared objective of full membership. Political agendas and perceptions change with time. Those who have witnessed various phases of Turkey-EU relations know that perceptions on both sides have changed considerably. However, changing these perceptions does not depend only on Turkey. Especially, uncontrolled public statements made against Turkey’s membership or proposals for alternative kinds of partnership do not help the efforts in this respect. Turkey’s membership to the EU will demonstrate that different cultures with varying traditions can accommodate globally recognized values and principles. It will solidify Turkey’s role as a bridge between East and West. Our membership will not only promote intercultural dialogue but also help to further improve the existing political and economic relations between Europe and its vicinity. In this regard, I would like to underline importance of the Alliance of Civilization project we co-sponsored with my Spanish counterpart Mr. Zapatero under the UN umbrella; because Turkey’s membership to the EU will in the mean time show us that the Alliance of Civilizations as the most significant global peace project of our century can indeed become true. Do the Turkish people still want to reach a hand out to Europe? Aren’t they fed up and angry with the sluggish process and European conditions? We are not as concerned about the pace of the accession process as we are about the quality of that process. Time and again we have said that we have no qualms about achieving membership in short order. Certain negative statements against Turkey’s EU membership have created a frustration in Turkish public. We think that there are wrong perceptions about the realities of Turkey’s accession which lead to fears in a number of European countries. Major responsibility here lies on the political elites of these countries. In order to dispel the existing prejudices and misconceptions, it has become increasingly important for public opinions in the EU and Turkey to gain a better understanding and knowledge of each other. Civil society dialogue is important in this respect. The more we give substance to and expand this dialogue, we will achieve positive results. On the other hand, we are happy to see that eminent European politicians, businessmen and intellectuals have strong arguments against the concerns and doubts on the membership of Turkey. I would like to underline the fact that presenting the potential, merits or shortcomings of Turkey in a fair and objective manner is essential in order to reach a sound conclusion at the end of these discussions. In this respect, what we expect from the EU is not to discourage Turkey on its path of full alignment with democratic standards. This process is not an easy task. The EU should choose integration with Turkey not as a requirement but as a historical responsibility. Responsibility towards all peoples of Europe.